Professional stator restoration service you can depend on year and after year! Professional Kawasaki 650 stator restoration including new battery charging coil. Improved coil and die cast frame grounding. 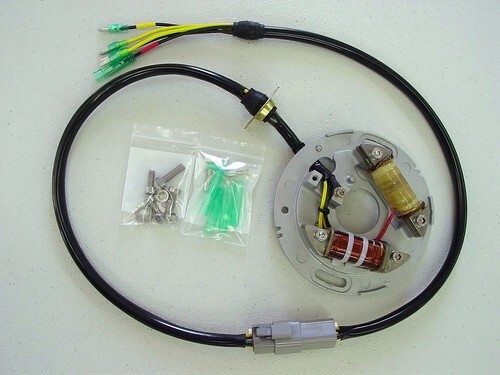 High quality silver tinned wiring, soldered connector, exact OEM type sleeving. New mounting hardware supplied. . Additional cost if both coils need to be replaced. We can also convert 4 wire to 5 wire, 5 to 4, and change color code from yellow to brown and visa versa.